This is the 'Starry' dice set (D4, D6, D8, D10, D12, and D20). 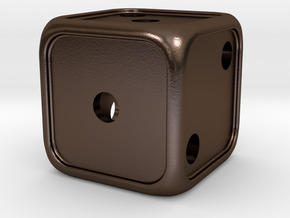 The design of these dice is hollow and was optimised for printing in steel or any of the other metals. 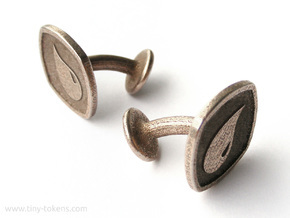 In steel this full set weighs about 60 grams. 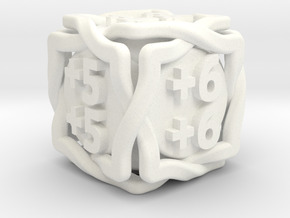 All these dice are well balanced and give a fair roll. 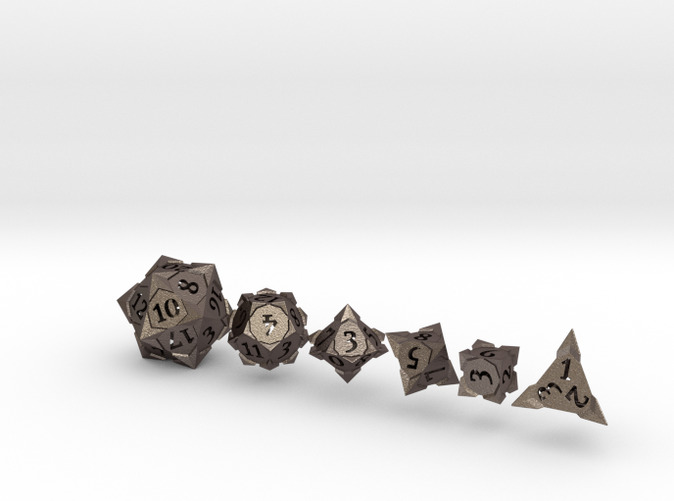 All of the dice in this set are also available as individual items. 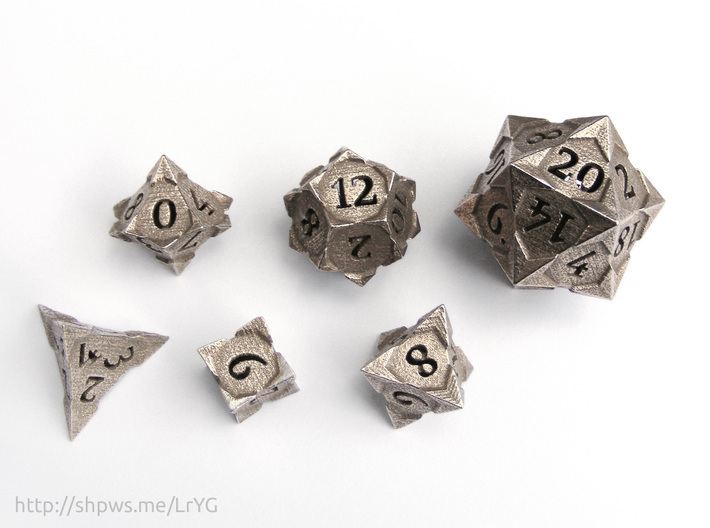 For all the dice in this set, please have a look at the 'Starry' category in my shop. 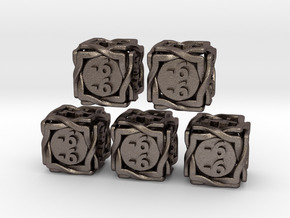 If you are looking for a set with an additional 10D10 (aka percentile d10 or decader), you will also find it in this shop category.